Temparature changes cause condensation to be inevitable. Aerocovers feature a breathable membrane. This membrane transports condensation outside and prevents water, dust and dirt from getting in at the same time. It is important to prevent mold and mildew from building up and extend the life of your garden furniture or parasol. 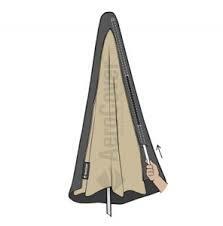 AeroCovers® feature sewn-in cords with 2 stoppers at 2 sides of the cover. This way it is easy to tighten your cover. 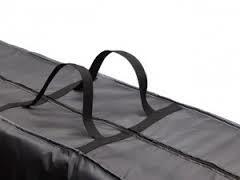 L-shape covers are fitted with and an extra buckle. 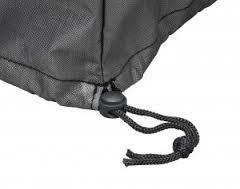 AeroCovers® are made from lightweight ripstop polyester. They are easy to handle and take up little space when not in use. 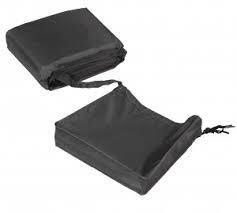 All garden furniture and lounge set covers come with a handy storage bag attached to the cover.